Hurry up and get it over with. That might be a reasonable summary of the British attitude to the royal baby. Its imminent appearance has been filling the tabloids in the quiet period since Andy Murray's Wimbledon triumph, but when it eventually shows up, it may be a bit of an anti-climax after we have been subjected to all the frantic build-up. To keep the royal infant in the public eye, there are plans to announce the birth from the lights at the top of the BT Tower. The message will read along the lines of "bow down in obeisance ye peasants for another mighty lord/lady is born to rule over you by divine right", or perhaps something a bit more touchy-feely. It seems a strange move. 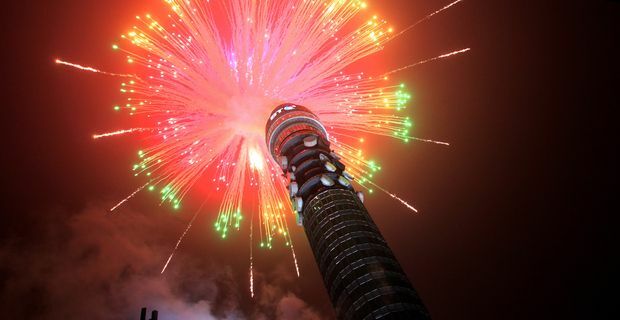 Londoners are famously jaded about everything and too busy tapping their smartphones or scrambling for their Oyster cards to look up at the BT Tower, while the foreign tourists who love this kind of pageantry probably don't know where the BT Tower is. It's all about PR though. BT's Suzi Williams, whose zany spelling of her name marks her out as a marketing director, said: "As one of London's best-loved landmarks," (wait a minute, Kate might be a bit large right now but that's a bit disrespectful isn't it, oh wait, she means the Tower) "it's only fitting that the BT Tower should celebrate when the city celebrates. Since the LED screen at the top was first installed back in 2009 it has counted down from 1000 days to the start of London 2012, and commemorated the Royal wedding and the Diamond Jubilee. We're excited to be sharing news of the royal birth too." Meanwhile,exhausted royal correspondents from around the world are still parked outside St. Mary's Hospital in Paddington, listlessly interviewing each other and drawing sweepstakes on the name. Philip for a boy, Elizabeth for a girl. You read it here first. The Windsors have never been known for their imagination.